Part of the popular Big Ideas series, The Sociology Book introduces you to the subject that tells you all about what society is and what makes it tick. With over 80 ideas from the world's most renowned sociologists, covering topics as diverse as issues of equality, diversity, identity and human rights- the effects of globalization- the role of institutions, and the rise of urban living in modern society, this book details the key concepts of sociological thought. Discover all the big sociological ideas with quirky graphics, pithy quotes and step-by-step 'mind maps'. You'll be brought up-to-date on sociological ideas from Jeffrey Alexander to Sharon Zukin, with easy to navigate step-by-step summaries which explain each idea in a nutshell. Plus biographies of key sociologists from around the world, giving a historical context to each idea. 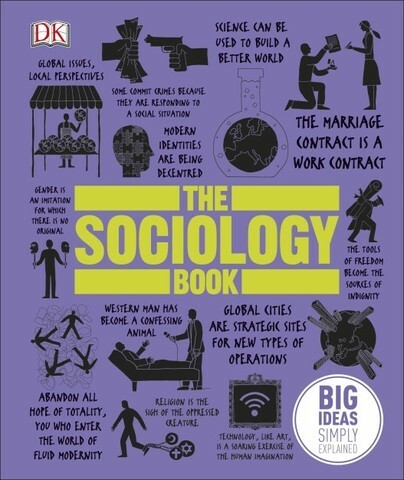 Whether you are a sociology student or just have an interest in the workings of society, The Sociology Book is a perfect way to explore this fascinating subject.